Our company is owner operated using state of the art equipment. We specialize in Commercial and Residential work. Asphalt Industries has been in business over 15 years. We can provide more than one reference in any location. We have a reputation of catering to our every customers needs. Also we have an amazing architect that can dream up a design of your desire. Asphalt Industries has a professional team working together that makes it possible to get a job done in the same day with the highest possible quality of workmanship. We our family owned & operated and have been serving the Capital Region for over a decade! 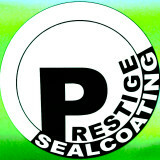 We specialize in Residential & Commercial Sealing & Hot Crack Filling. You won't beat our customer service from first phone call to the finished product! We are the best in the area brooms down guaranteed. Give us a call at (518)477-6123 and see for yourself why we're number one in the area! "From Old And Cracked To Rich And Black"
This is a locally owned and operated business that excels in customer satisfaction. With over 20yrs experience we guarantee our work. We are fully insured. We offer sealcoating, hot tar crack fill, asphalt repairs, striping for parking lots, concrete services, masonry services, snow plowing, property maintenance, and much more. 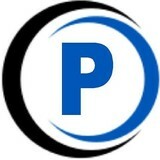 Serving residential and commercial properties. We look forward to doing business with you. Please call or email us for a FREE estimate. 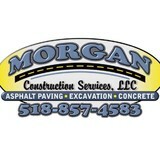 We specialize in asphalt paving, excavation, concrete, interior or exterior home renovations, and more. We perform all levels of building and remodeling. We offer start-to-finish solutions for every project, as well as full design services. Our business is family owned and operated. From installation to repair, Manchester Center, VT driveway contractors are responsible for a variety of planning, installation, construction and driveway maintenance services. Driveway installation. Before work begins on a new or replacement driveway, your professional should create plans based on your needs and material choices, as well as your property grade, soil and other Vermont landscape factors. When it comes to the actual driveway construction, driveway contractors are responsible for preparing the site, obtaining the necessary materials, making sure a strong foundation is laid, operating equipment and heavy machinery, and cleaning up the site afterwards. Driveway materials. While most driveway contractors in Manchester Center, VT primarily work with asphalt, they are also experts on the wide range of available driveway materials. If you are looking for something different than a standard asphalt driveway, your pro can help you select driveway pavers or customize a brick driveway design. A driveway installation and maintenance professional may work closely with a Manchester Center, VT builder, landscape professional or various manufacturers and suppliers. Find a Manchester Center, VT driveway installation and maintenance professional on Houzz. Narrow your search in the Professionals section of the website to Manchester Center, VT driveway installation and maintenance. You may also look through Manchester Center, VT photos to find examples of driveways that you like, then contact the professional or contractor who worked on them.